The perfect print collaboration has happened between Liberty London archival collection and Jack Wills bespoke pink and blue colour palette.The beautiful collaboration of florals in the colour palette of Jack Wills has made a sub-collection of must haves within the spring/summer 2014 collection. 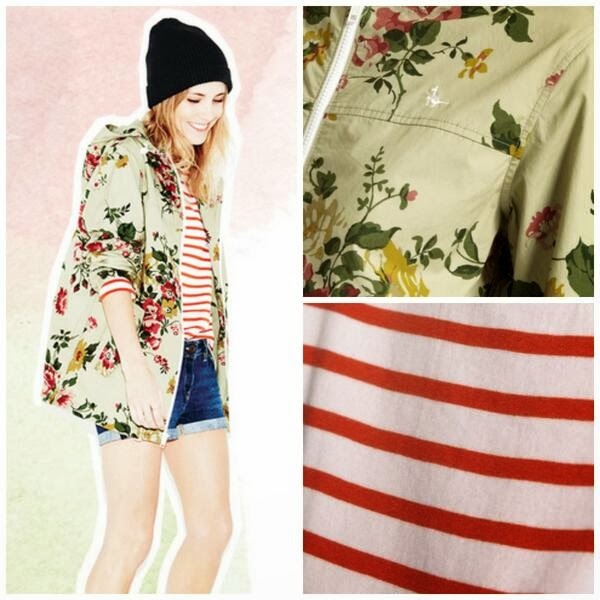 Ladies you’ve got a choice to press refresh on them Jack Wills’s classics Ladies because, Liberty prints have taken over from your tees, sweatshirts, dressers to accessories. The question is which look are going you going to go for regarding the print? If you are very much like my fellow fashion blogger Lucy Williams dare to mix your prints with the nautical sailor stripes and florals…MMM??? (See more about the #JWBritPack feature here).